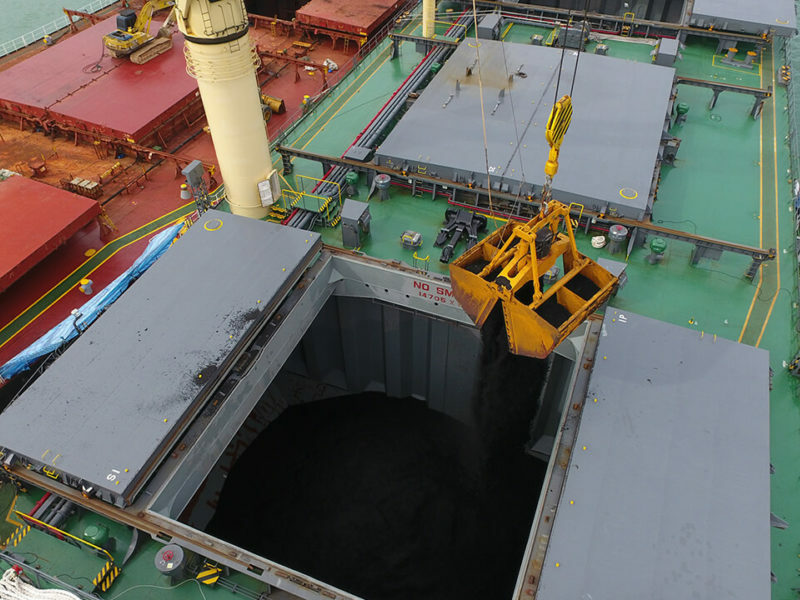 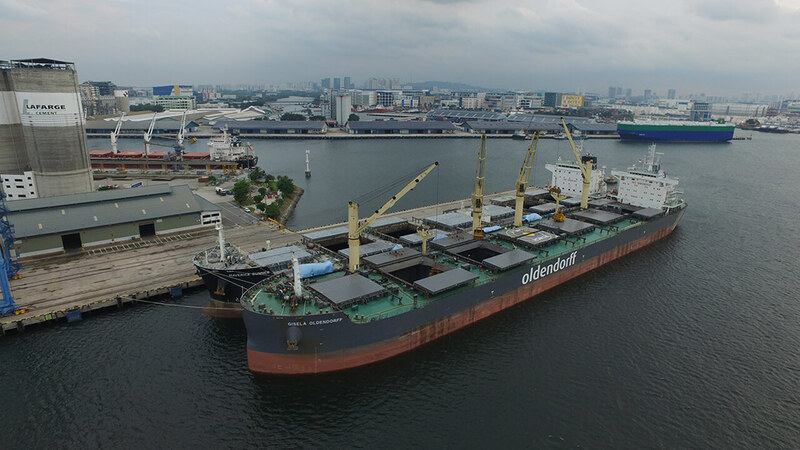 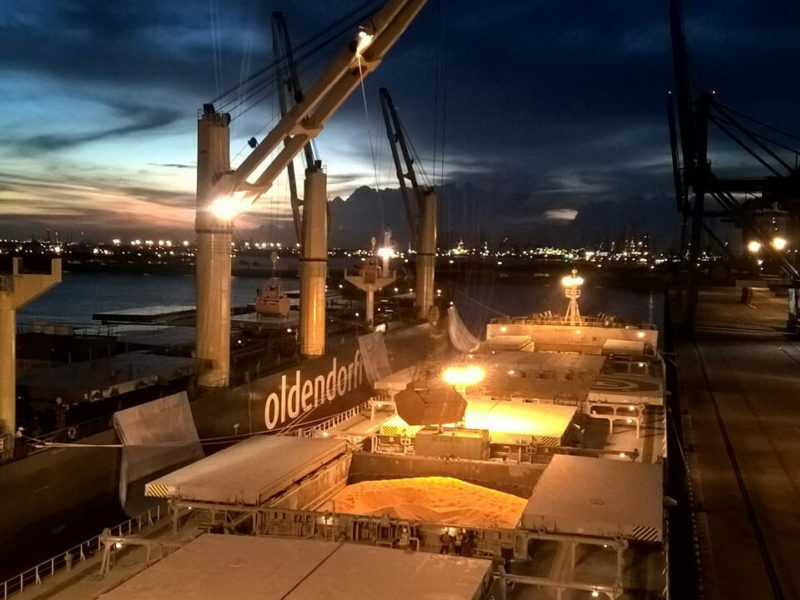 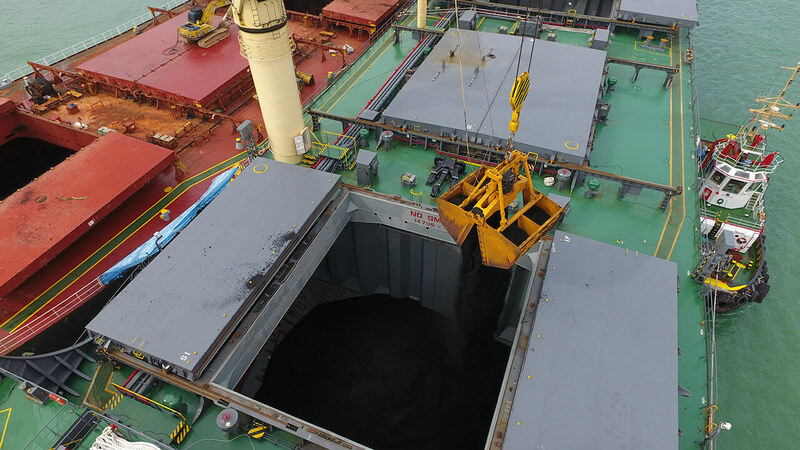 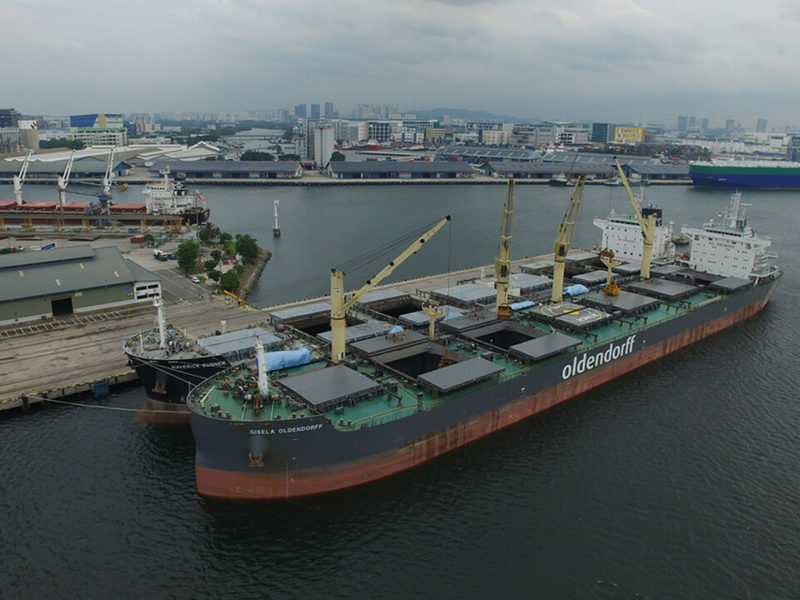 Oldendorff Transloaders have recently performed 7 major ship-to-ship cargo salvage operations. 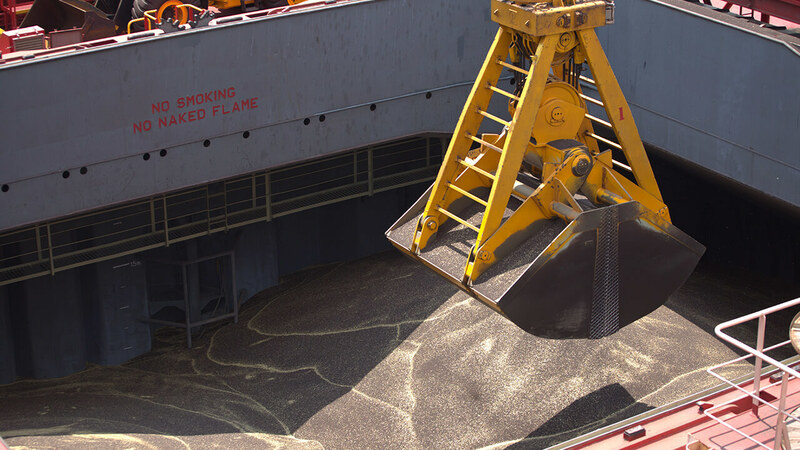 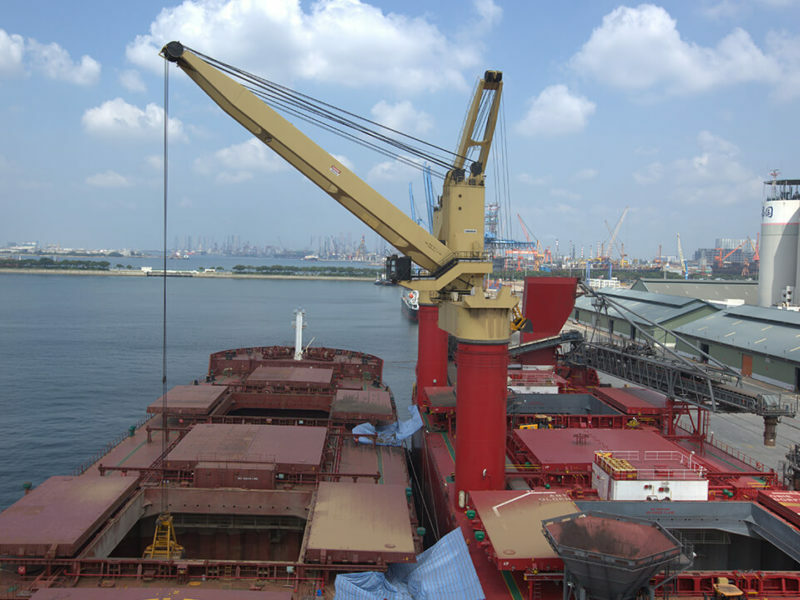 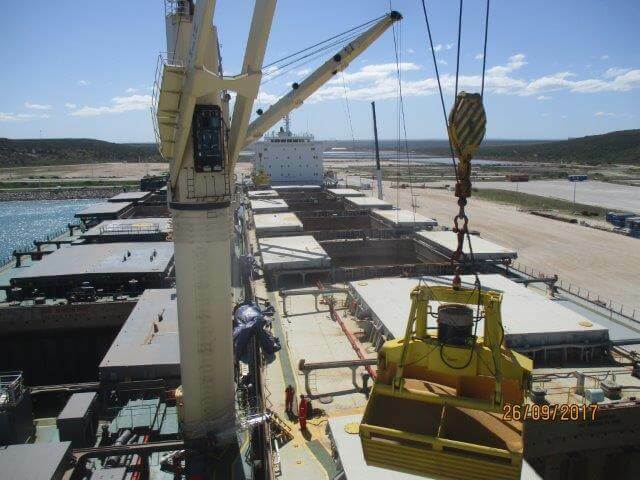 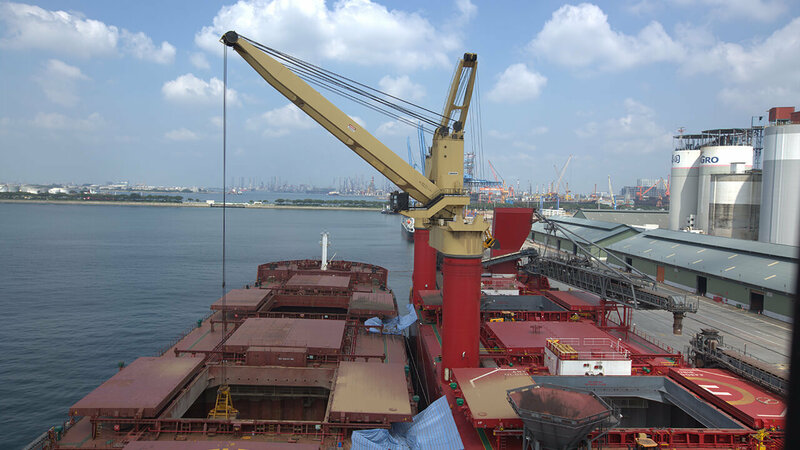 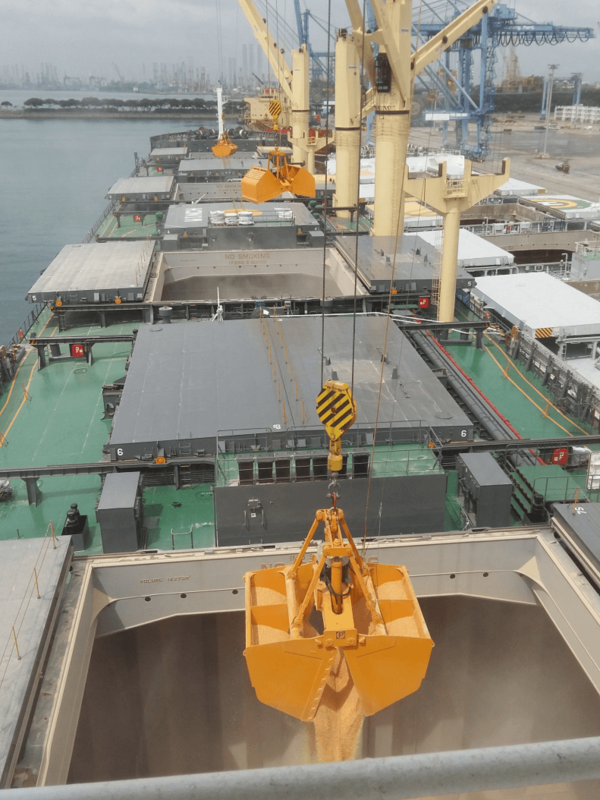 Our unique side-mounted cranes can unload up to Capesize bulk carriers, providing the best solution for bulk cargo salvage. 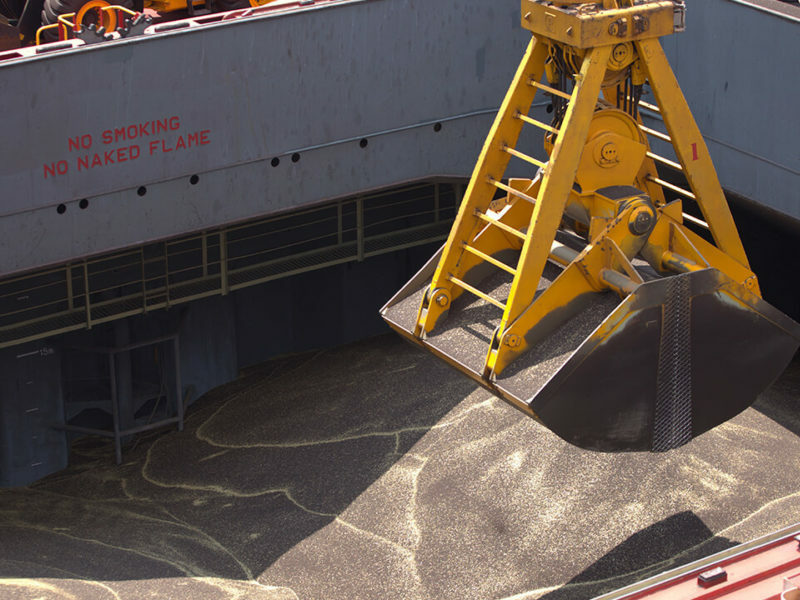 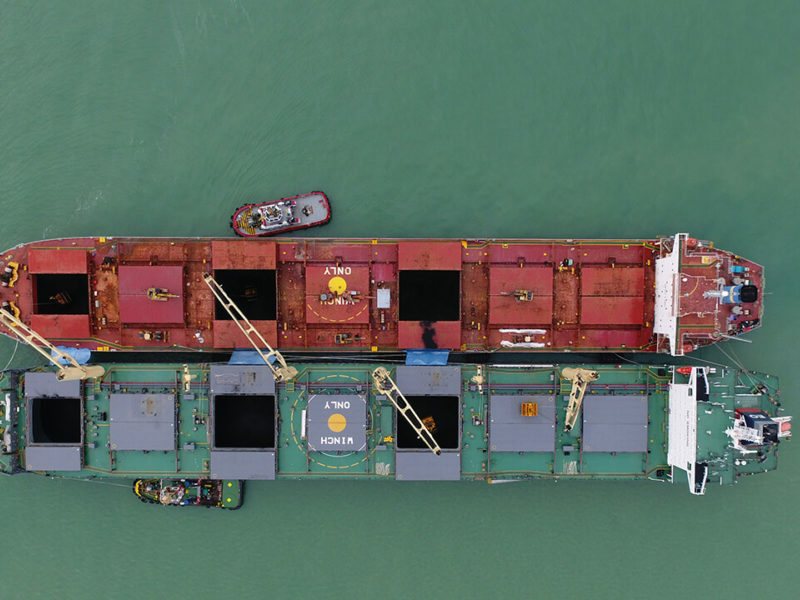 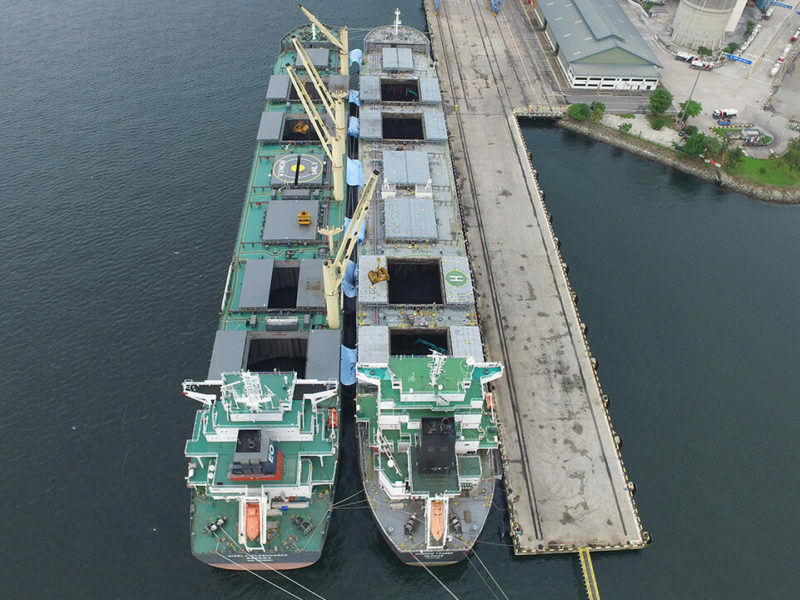 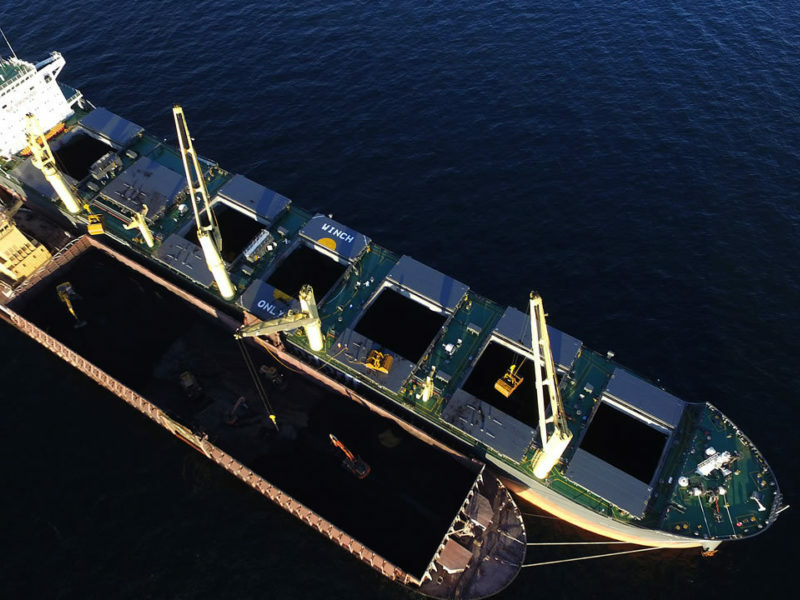 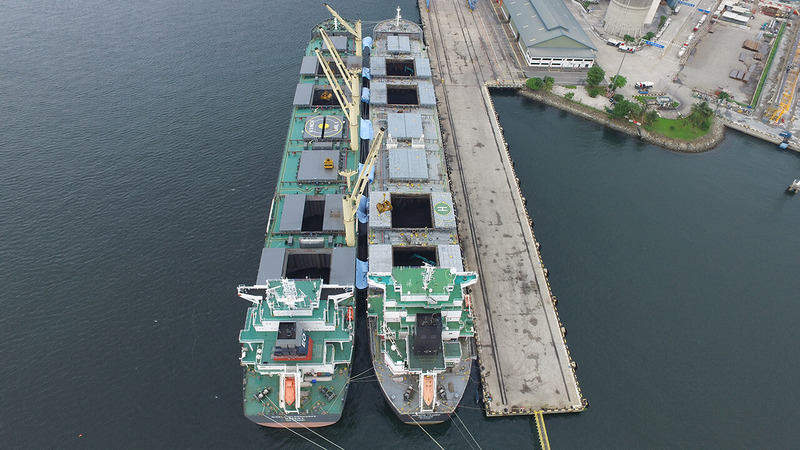 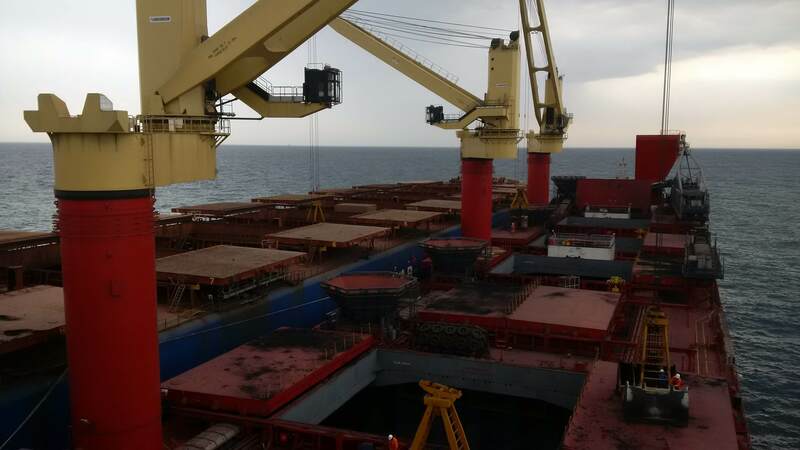 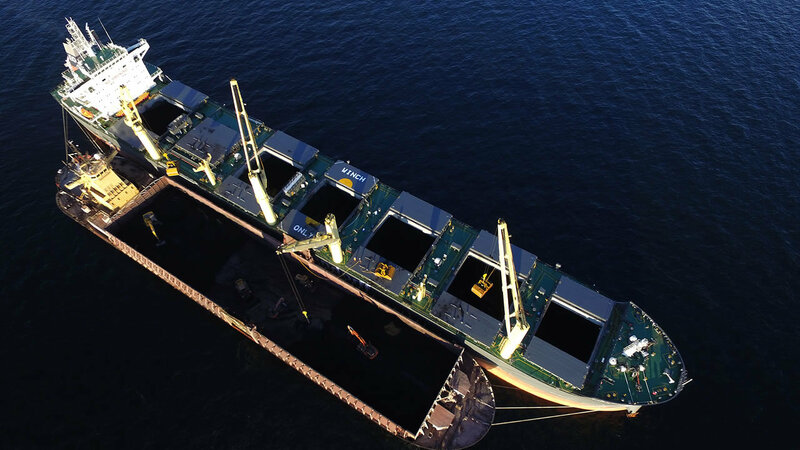 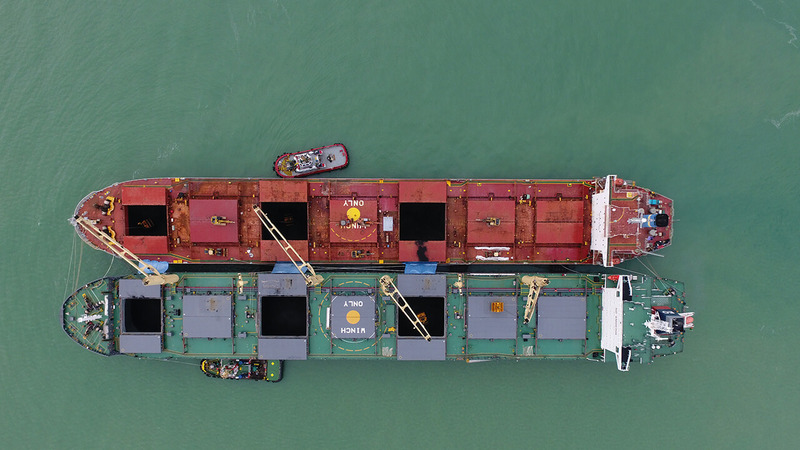 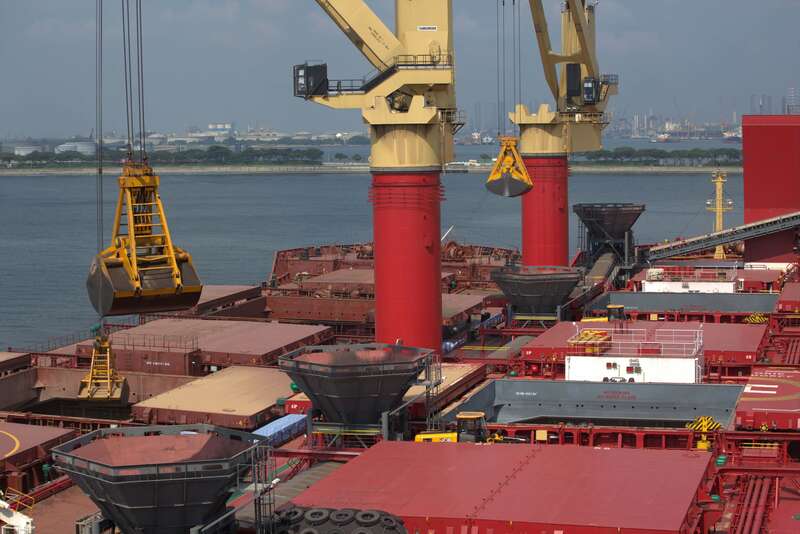 Having 11 Transloaders fitted with side-mounted cranes which are capable of unloading up to Capesize bulk carriers makes our vessels uniquely suitable for bulk salvage operations. 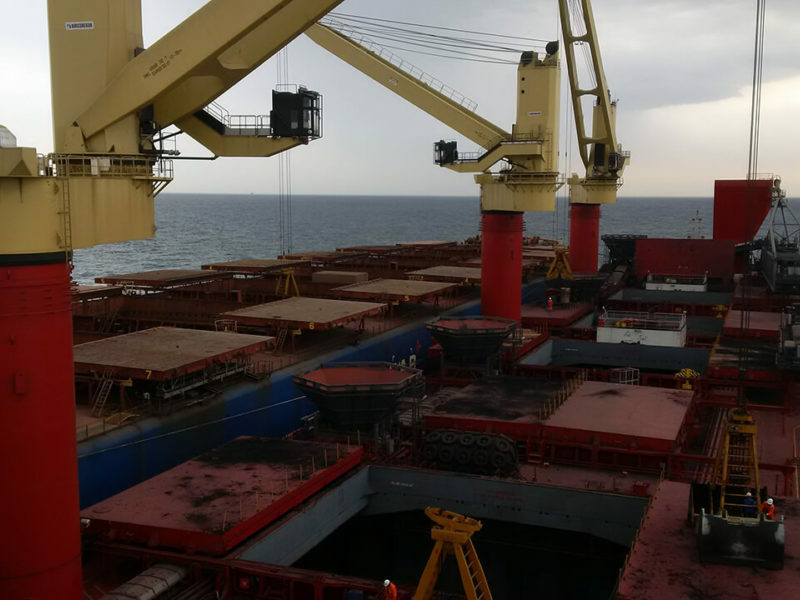 With 3 of the vessels normally located in the Arabian Gulf area and the other 8 vessels trading worldwide, we are never far away from a salvage operation. 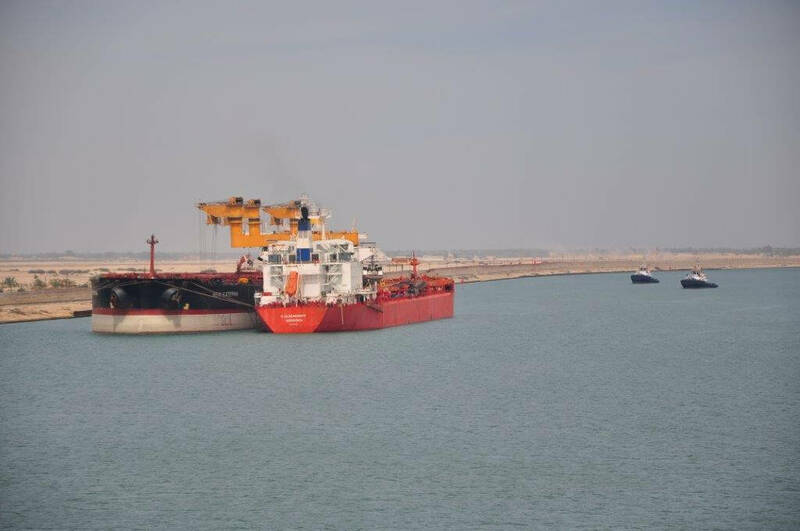 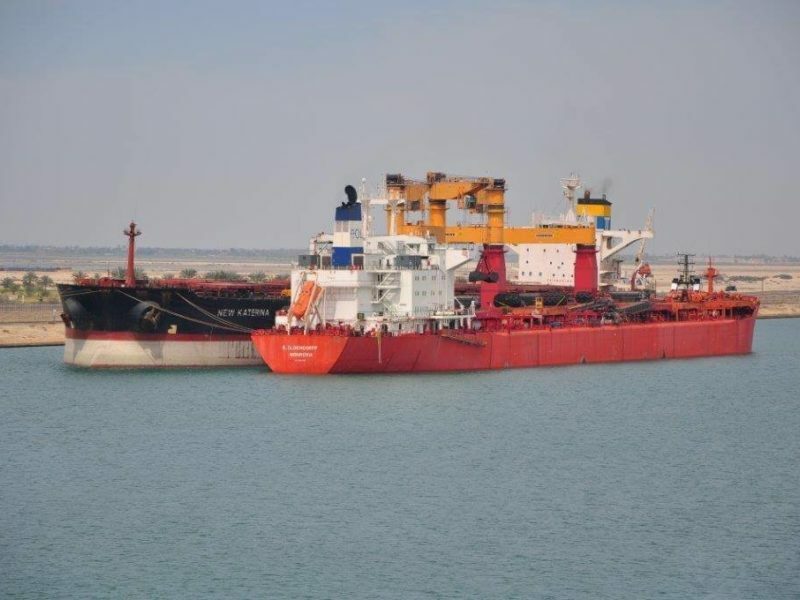 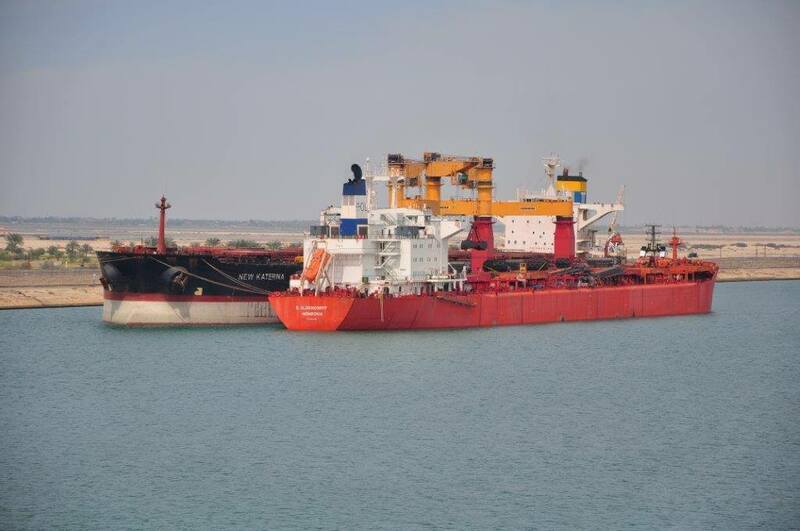 E. Oldendorff (77,000 tdw) was chartered by SMIT to unload a full cargo of iron ore from MV New Katerina (170,082 tdw), which lost steering and grounded in the Suez Canal. 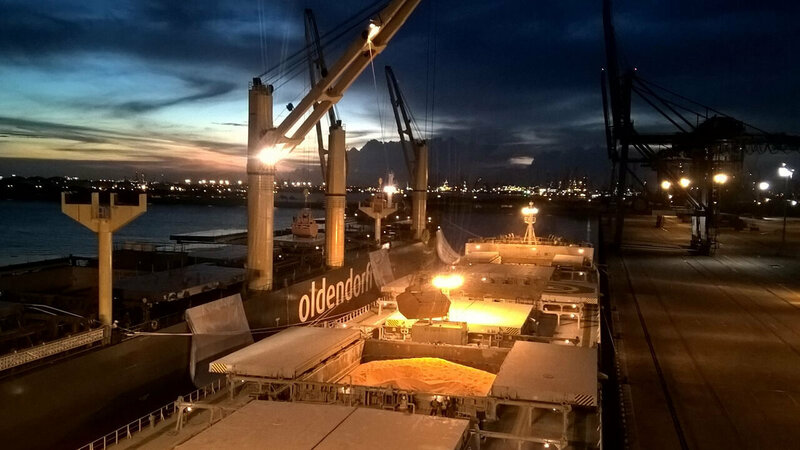 Gebe Oldendorff (81,500 tdw built 2016) was chartered to salvage a cargo of 64,100 MT of maize from the MV Archimedes which was originally loaded in Paranagua Brazil. 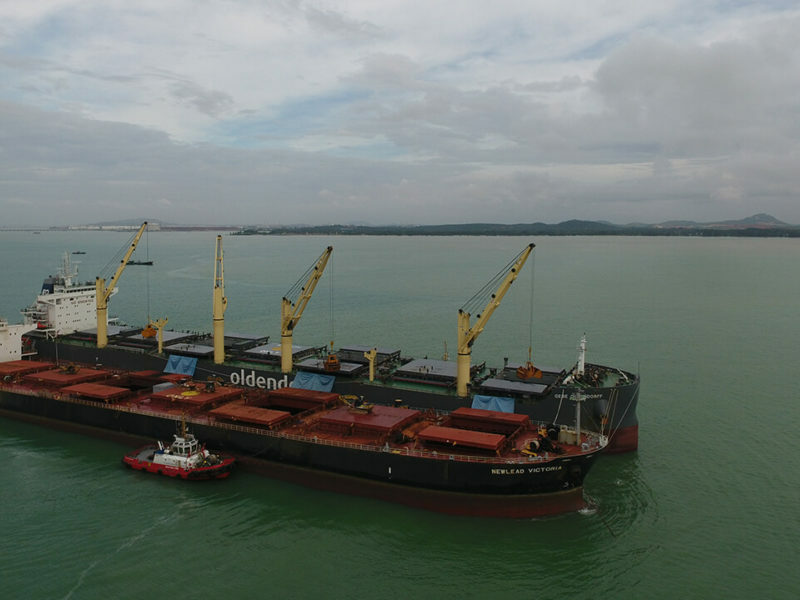 Gebe Oldendorff (81,500 tdw built 2016) loading coal from the arrested MV Newlead Victoria. 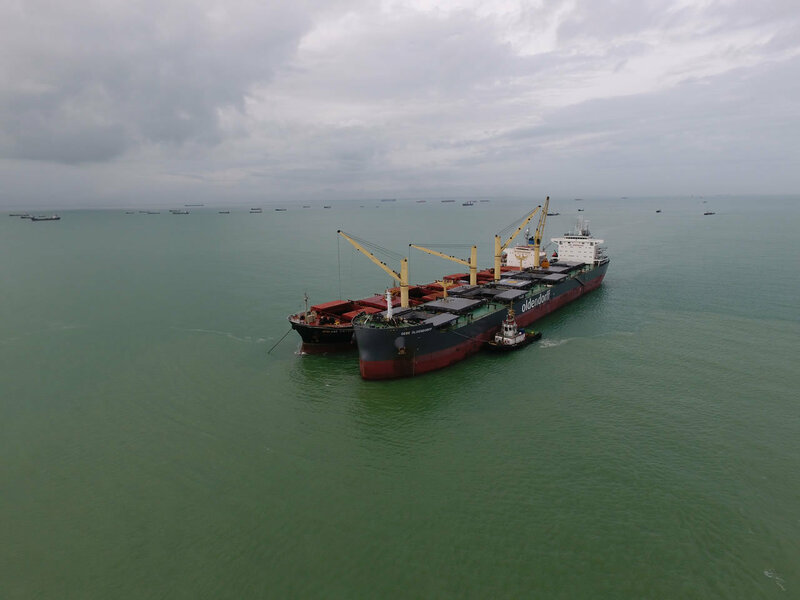 The cargo salvage took place at the anchorage of Kampong Sungai Rengit in Malaysia. 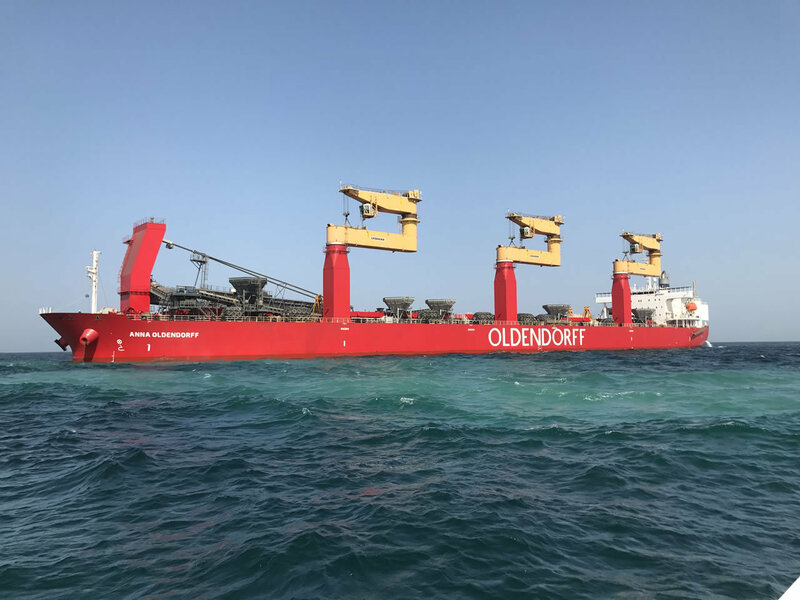 Antonie Oldendorff (94,000 tdw built 2015) was time chartered to sail from the Arabian Gulf to Singapore to salvage a 78,500 mt cargo of bulk wheat and bulk canola from MV AO HONG MA. 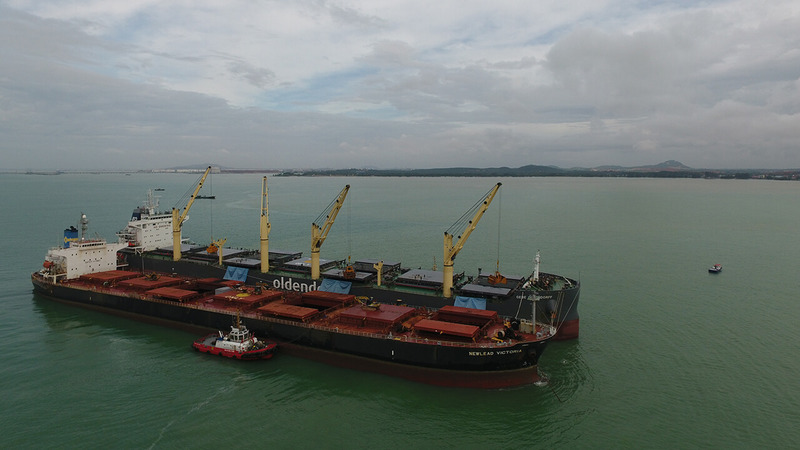 Gisela Oldendorff (81,500 tdw geared Kamsarmax built 2015) salvaged 78,000 mt of coal from the M/V Maverick Gunner which was arrested in Singapore in September 2016. Alfred Oldendorff (94,000 tdw built 2015) was time chartered to salvage a cargo of iron ore from the Kiran (175,948 tdw) in Dubai.